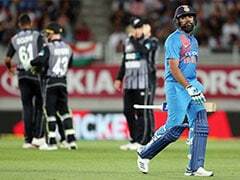 Highlights: India vs New Zealand 1st ODI: India won the opening match against New Zealand by eight wickets. India were comfortably placed at 44 for one when, in a bizarre turn of events, players walked off the ground after dinner because the setting sun made it difficult for them to spot the ball at McLean park. This led to an interruption that has never been seen in international cricket before. Because of the nearly half-an-hour delay, the target was revised to 156 in 49 overs, which the visitors chased without much ado. While Rohit Sharma may have lost his focus after the dinner break, Kohli and Dhawan didn't let the sun-induced stoppage distract their minds when play resumed. Kohli, though, got out five short of a fifty. 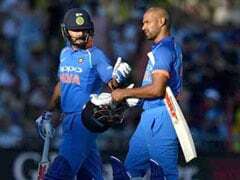 The Indian captain hit three boundaries in his 59-ball knock before pacer Lockie Ferguson had him caught behind with a quick delivery that caught the batsman by surprise. In the course of his 26th ODI fifty, Dhawan became the joint fourth fastest batsman to reach 5000 runs. Dhawan needed 118 innings to reach the mark. That will do. Length ball outside off, Rayudu taps it with soft hands to the off side and responds to Dhawan's call who makes it in time. 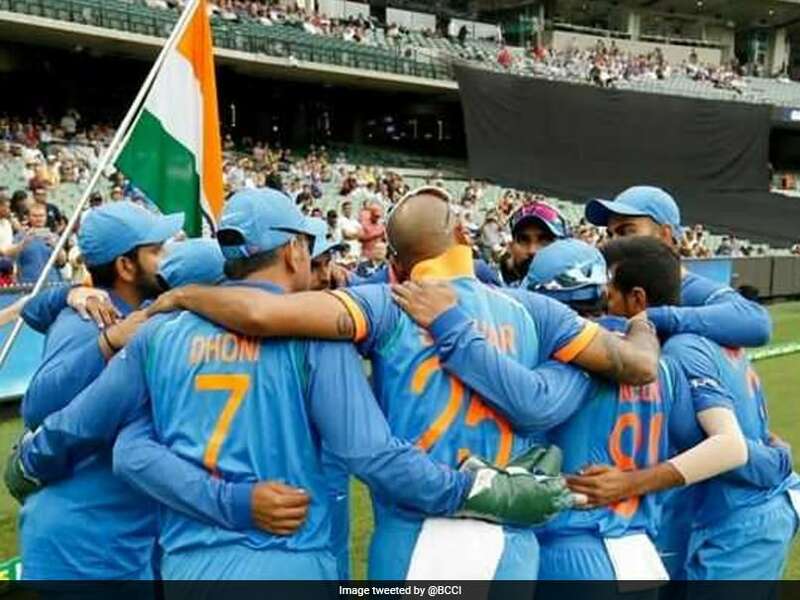 INDIA BEAT NEW ZEALAND BY 8 WICKETS! Still level! Outside off, Rayudu pushes it to point. Not yet, Rayudu punches it to cover-point. FOUR! Scores tied! Pitches it up outside off, Rayudu comes down the track and lofts this over covers. Boundary. Just one run away now.